The new sedan will be exported across the globe, except for one rather large market. Through all of the talks regarding tariffs as a result of the current trade disputes, it’s time for some happier news. Volvo has just announced that exports of its all-new, South Carolina-built S60 sedan have gotten underway. The Ridgeville, South Carolina plant is home to the S60 which is now making its way to the Belgium port of Zeebrugge, which will then transfer the luxury sedans to the European retail network in countries including Sweden, Norway, Denmark, Finland, Netherlands, the UK, Italy, Spain, and Germany. Eventually, the American-made S60 will also be exported to Turkey, Australia, the Middle East, Africa, and parts of Asia. Altogether, Volvo expects over 50 percent of the cars built in South Carolina this year will be exported. Ridgeville has the capacity to build some 50,000 vehicles annually. 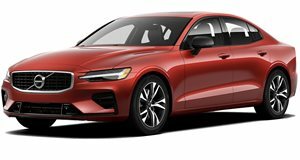 "We began commercial production of the S60s just six short months ago here in South Carolina, and we’re excited to be building cars for customers around the world,” said Jeff Moore, vice president, Manufacturing, Americas. "Export markets are critical to the long-term success of our plant and we're on track to deliver vehicles to our customers worldwide,” he added. Interestingly, the one major market Volvo did not mention is China. How come? Tariffs. Volvo said last November that the trade tariffs between the countries mean that it won’t be sending S60s from the US to China, at least for the time being. Fortunately, the new Volvo factory in Ridgeville is really just getting started. The next-generation XC90 crossover is expected to be built there beginning in 2022. The 2.3-million-square-foot facility currently employs 1,500 people (a figure that’s likely to increase) and has its own in-house paint shop and body shop. Ridgeville is Volvo’s first and so far only US-based manufacturing facility, which cost the automaker some $1.1 billion to build.